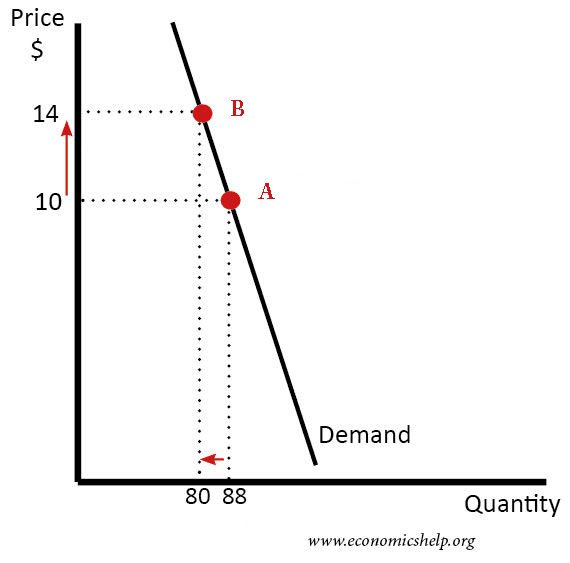 Definition: Arc elasticity of demand measures elasticity between two points on a curve – using a mid-point between the two curves. On most curves, the elasticity of a curve varies depending on where you are. Therefore elasticity needs to measure a certain sector of the curve. 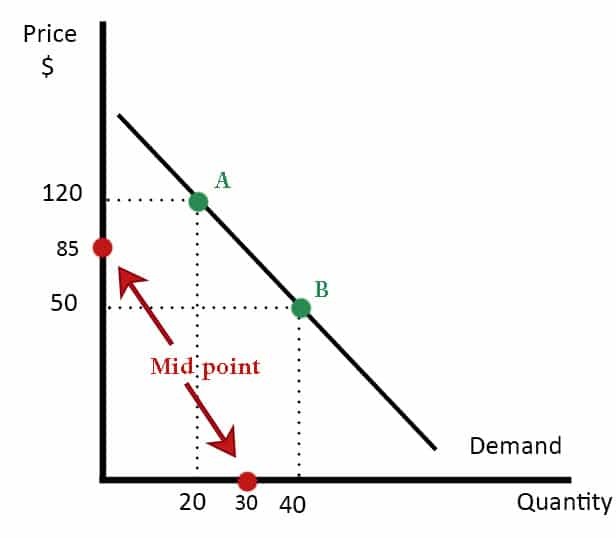 To calculate arc elasticity of demand we first take the midpoint in between. If we calculated elasticity from point A to B. We would take the starting point as the reference. If we calculated PED from points B to A.